Gather Seattle is an inclusive community of creatives, designers, makers, foodies, entrepreneurs, and storytellers based in the Pacific Northwest. We use the table as a platform for inspiring creative conversation and building connections. We host monthly events at various venues around Seattle with an aim to connect, inspire, and nourish. 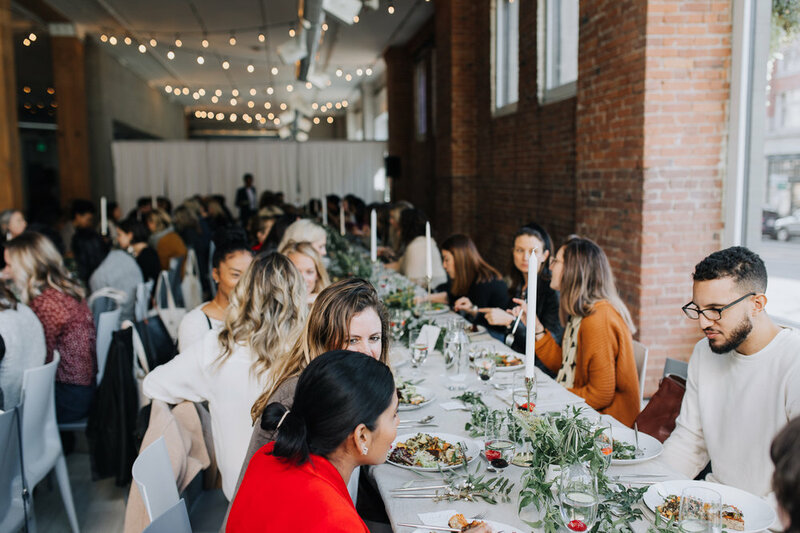 As a primary element of each event, we typically enjoy a plant-based meal and invite influential women and men to share stories and offer advice on a wide range of topics. We believe strongly in the importance of making personal connections around the table.